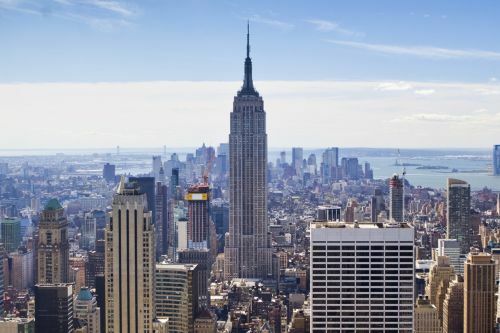 The New York Department of Financial Services (DFS) released regulations Wednesday that are significantly much more lenient than the previous proposed rules implemented last year. The new rules, enacted by DFS superintendent Maria Vullo, allow insurers to hold less money to pay their obligations than previously. Industry insiders told New York Post that such lower requirements are exactly the sort of thing businesses in the state need, especially when compared to the stricter regulations set by previous DFS superintendent Benjamin Lawsky. Former superintendent Lawsky managed to lower the cash requirement of insurers by a third in 2014. Despite the lowered cash requirement, the DFS asserted that it would still maintain a close eye on the industry and ensure that customers are protected. “DFS will continue to make certain that New York’s insurance market is fiscally safe and sound and that the reserves to back insurance policies are appropriately set to protect consumers,” said Vullo in a statement. With the new rules, insurers will be allowed to use computer models starting 2018 to determine how much cash they should hold in reserves, instead of relying on formulas set by regulators. To help adopt the new rules, the DFS created an insurance sector working group composed of industry veterans and consumer advocates such as New York Life chief executive Ted Mathas and Birny Birnbaum of the Center for Economic Justice. “The superintendent has taken a fresh look at the positions of the department and how that affects both consumers and the regulated entities,” DFS spokesman Richard Loconte told New York Post. “What people don’t understand about the life insurance business today is that a major part of these guys’ business is selling investment products,” commented Americans for Financial Reform policy director Marcus Stanley. Just recently, the DFS issued rules for other financial services companies, permitting them to diffuse responsibility for money-laundering among a company board.